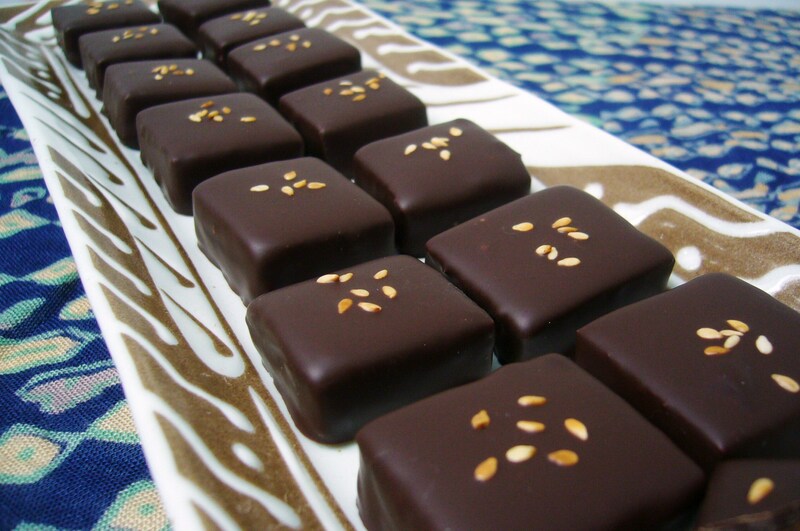 Inspired by the Middle East (and the sunnier weather we are supposed to enjoy in June), these sesame honey chocolates transport you to more exotic climes as they melt on your tongue. Each one has a milk chocolate centre blended with sesame seed paste and the robust, distinctive taste of Scottish heather honey. The thin dark chocolate coating complements the richness of this chocolate. Topping it all off, the toasted seeds add another sesame dimension to the flavour profile. This one’s got character – it’s headstrong but refined and elegant.